If you make frequent midnight runs to the bathroom, you already know how annoying they can be. But new research suggests they might mean more than just guzzling too much water before bedtime. In fact, Dr. Satoshi Konno from the Tohoku Rosai Hospital in Japan says the disrupting habit (called nocturia) could mean you have high blood pressure. Dr. Konno presented his study findings recently at the 83rd Annual Scientific Meeting of the Japanese Circulation Society. The study says those who had frequent nighttime bathroom trips had a greater chance of hypertension than others, states a press release from the European Society of Cardiology (1). What’s more, the chances of hypertension rose with the number of nightly trips, suggesting a relationship between the two. To make this conclusion, researchers enrolled over 3,700 Japanese participants, noting blood pressure measurements during health checkups. Researchers also gained information about nocturia using a questionnaire. Nearly 70% of those who answered the questionnaire stated they had a problem with nocturia. These results are significant because the Japanese have a salt-saturated diet, and many suffer from high blood pressure, states the press release. The findings correlate with a previous smaller study by researchers from Nagasaki University. Lead author Dr. Matsuo Tomohiro noted that men and women who experienced trouble sleeping also had nocturia and high salt intake, states a European Association of Urology press release (2). The researchers showed that, by reducing salt intake, the average nightly bathroom trips in the group dropped from 2.3 to 1.4 each night. Yet frequent nighttime urination can mean you have one of several underlying problems. Notably, the American Sleep Apnea Association says nocturia can be a symptom of sleep apnea just as much as snoring can be (3). Sleep apnea researcher Dr. Mary Umlauf, from the University of Alabama at Birmingham, describes how sleep apnea can trigger the need to urinate. According to Umlauf, the body gets the signal that the lungs are being constricted during sleep apnea. When that happens, “the heart excretes a hormone-like protein that tells the body to get rid of sodium and water, resulting in nocturia,” Umlauf says. While experts differ on the exact number of bathroom trips, many say 2 or more episodes could indicate a problem. 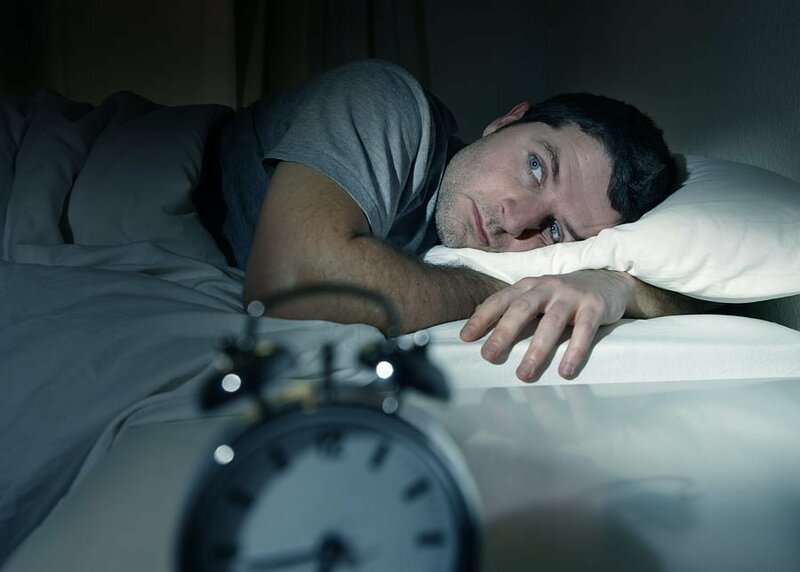 It’s clear that having nocturia can mean a problem. However, Men’s Health states that the problem could indeed be as simple as drinking too much. Urologist Dr. Jason M. Phillips with North Coast Urology told the magazine that people should put a pause on drinking fluids 2-4 hours before bedtime (4). In addition, it’s a good idea to cut out caffeine and alcohol in the evening in case that’s doing a number on your bladder. But if you’re worried about an underlying problem, it’s worth mentioning your bladder habits at your next doctor visit. You might just need simple lifestyle changes. Or you could get help for silent yet widespread problems like hypertension and heart disease. Who is to blame for your high blood pressure? Find out here! European Society of Cardiology. (2019, March 30). Trips to the toilet at night are a sign of high blood pressure. EurekAlert! Retrieved from https://www.eurekalert.org/pub_releases/2019-03/esoc-ttt032619.php. European Association of Urology. (2017, March 27). Night-time urination reduced by cutting salt in diet. ScienceDaily. Retrieved April 8, 2019 from www.sciencedaily.com/releases/2017/03/170327083711.htm. Nasca, T. R. (n.d.). Nighttime Urination and Sleep Apnea. American Sleep Apnea Association. Retrieved from https://www.sleepapnea.org/learn/sleep-apnea/nighttime-urination-and-sleep-apnea/. Weiss, S., & Matthews, M. (2019, April 1). Peeing a Lot at Night May Be a Sign of These 7 Medical Conditions. Men’s Health. Retrieved from https://www.menshealth.com/health/a19544246/waking-up-at-night-to-pee/.